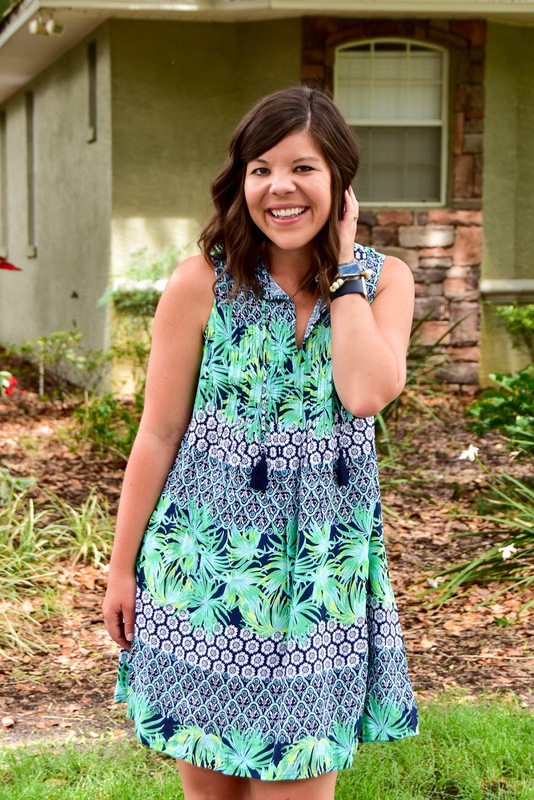 So I think it’s time to chat about this sweet swing dress now! I’ve been pretty frazzled lately and when Mother’s Day rolled around I realized that I had ordered more than 1 (or 2) gifts for my mom. ha. Well this dress was one of them and as luck would have it I kind of loved it for me! So I did what any shopper would do… I swapped it out for my size and started rocking it 🙂 With this crazy humidity we’ve been having I desperately need frocks like this to keep me cool! So cute! 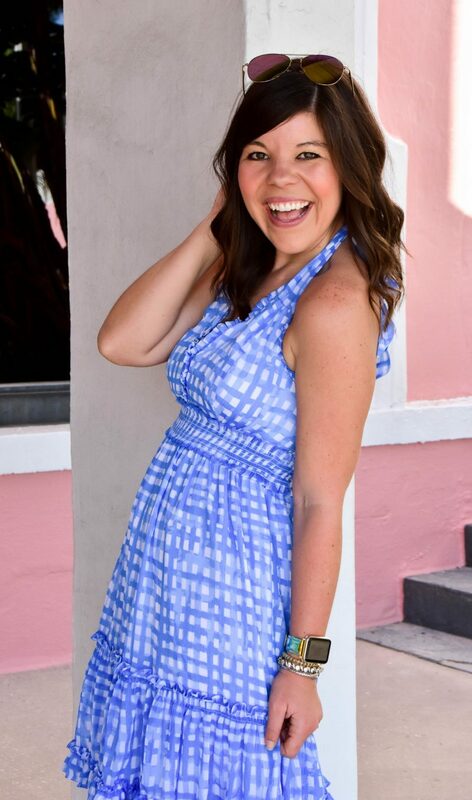 I thought I'd seen all of the Old Navy dresses but I guess I was wrong – I need to add this one to my collection! I was planning to pop into Old Navy on my lunch break, so now I'll have to keep an eye out for this dress! So cute on you! I love this dress! Where I am this weekend is SO dang hot, I could use a dress like this. 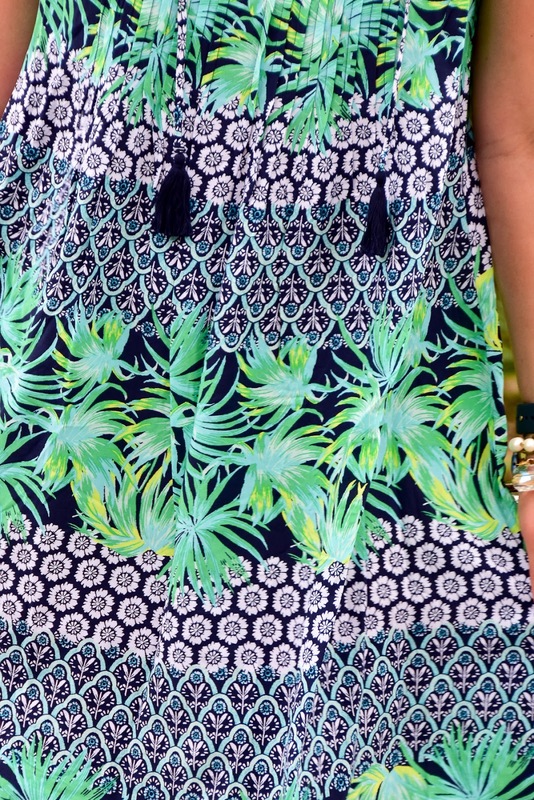 I love all the patterns on this dress! It looks so nice and comfy for the hot summer months 🙂 Happy weekend! SO wish I was able to swing by the Pink Palm and hang with you – if only it wasn't a plane ride away! 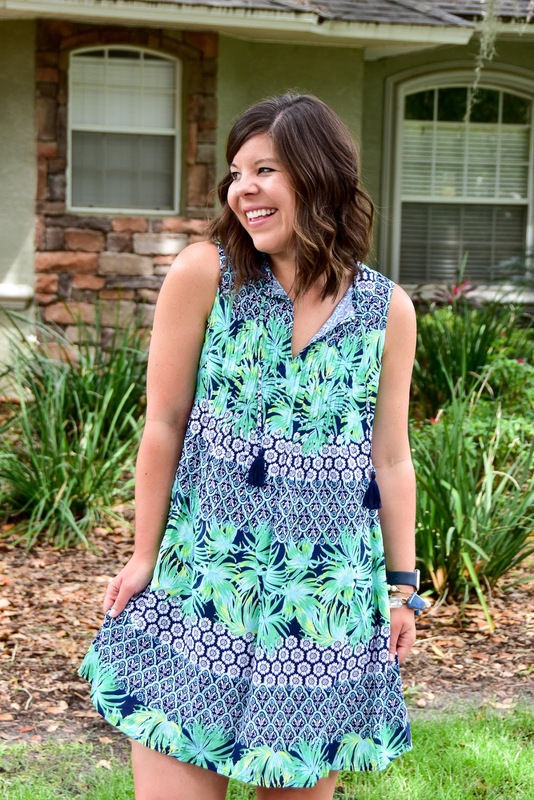 This swing dress is perfect on you. What a great dress! 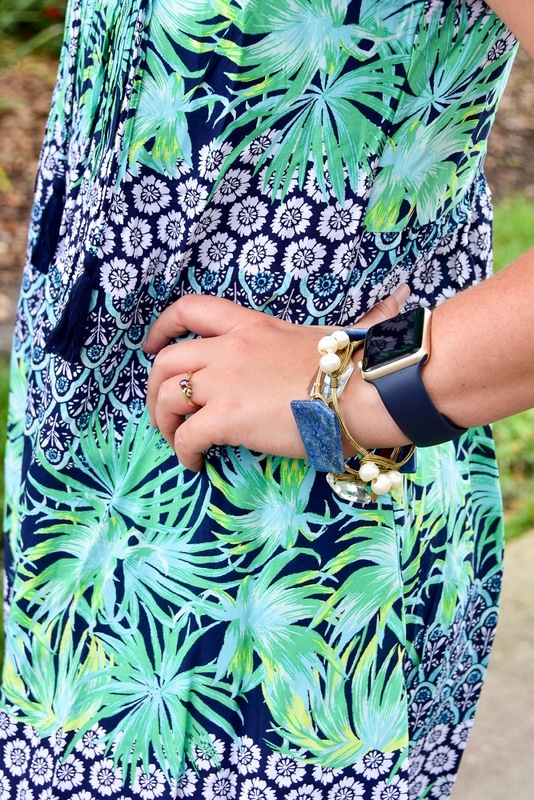 Your Lilly event at the Pink Palm looked like so much fun – glad you had a great time!